Even though you may not realize it, pieces of dead skin can get in the way of an evn spray. By using a loofa or body scrub, you eliminate the chances of awkward orange clumps or darker areas post spray. The fresh skin will absorb the tan better and provide a clean canvas! When you’re getting ready to head to the salon, take off all of your makeup. Why? Because the spray needs to get to your skin! If you’re wearing makeup, the spray will stick to that and you’ll be sporting an awkwardly white face with that new tan of yours. This goes hand-in-hand with the exfoliating. In order to ensure that your tan sticks evenly over your body, you must make sure that all hair is gone – at least on areas that will be showing. Though you might be inclined to apply lotion to your body after exfoliating, if it is the morning of your spray tan, do not do it. Part of the after-care that comes with a spray tan is not sweating for six hours, and unfortunately, lotion has a tendency to become slimy and slippery which can cause streaks. 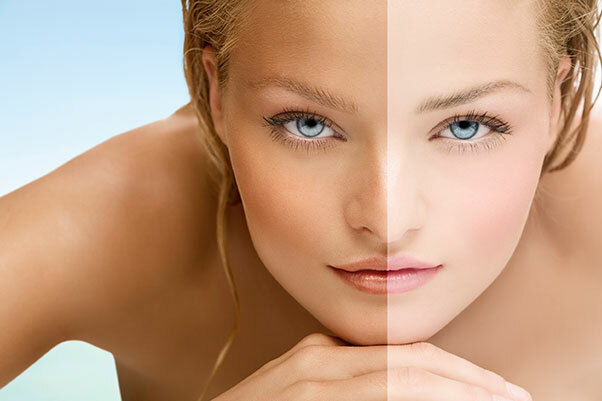 With spray tanning you have two options: standing booth spray tan or spray tans applied by a technician. No matter your choice, be sure to ask any and all questions prior to application. It is important that you know what is expected of you to ensure the quality of the tan; it is equally important for you to feel at ease throughout the process.